The Asko dishwasher is designed to require little cleaning, with an interior made of stainless steel that is resistant to bacterial growth. 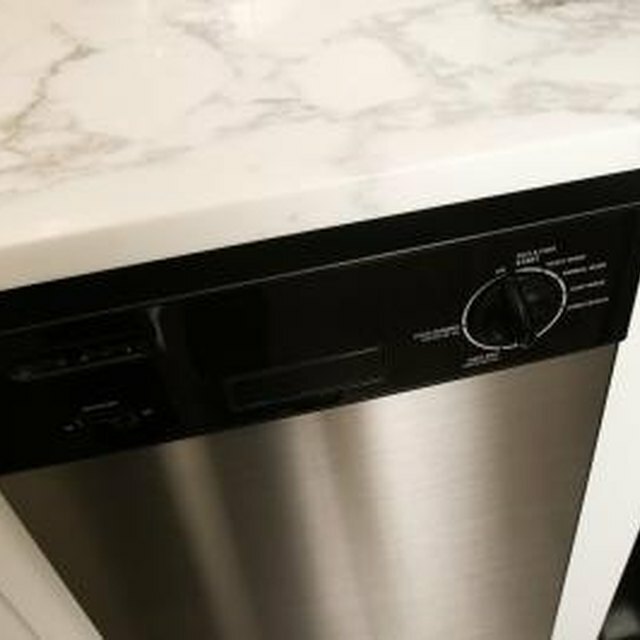 Cleaning for the Asko dishwasher includes a regular rinsing of its filter, outer door, spray arms, and drain pump to maintain peak performance. Regular cleaning of the dishwasher helps it run efficiently and extends the life of the appliance. Press the power button on the dishwasher to turn it off, and pull the dishwasher's door down to open it. Pour 2 tablespoons of citric acid into the dishwasher's detergent compartment, and close the dishwasher door. Set the appliance to a normal cleaning cycle, and press "Power" to run the citric acid through the dishwasher. Citric acid cleans lime deposits from the interior, which keeps the dishwasher from clogging. Turn off the dishwasher and open its door. Squeeze the tabs on the sides of the filter cover inside the dishwasher, and lift off the filter cover. Unscrew the filter by turning it counterclockwise, and lift it to remove. Wash all the filter pieces in hot, soapy water, and replace the pieces in the correct order in the dishwasher. Wipe down the outside and edge of the dishwasher door with a damp cloth. Unscrew the nut on top of the washer's spray arms, and lift off the spray arms. Brush the spray arms gently with a brush under hot running water. Replace the spray arms inside the dishwasher. Screw the nut by turning it clockwise to secure the spray arms into place.